At the School of Ballet New York, the most prestigious ballet school in the country, aspiring ballerina Anna becomes friends with her talented roommate, Hilary, a French exchange student, Marie, a down-to-earth mid-westerner, Jen, and one of the cutest guys in school, Tyler. The competition is intense and Anna works hard to understand her famous teachers and navigate her ups and downs with her friends. Some of the dancers struggle with eating disorders, injuries, and depression. Everyone's goal is a contract with a professional ballet company, and as graduation nears, the pressure intensifies. Although Anna goes to all the ballet companies' annual auditions, she receives not a single offer. Falling for Tyler complicates things, but with the lead in the annual workshop performance, Anna gets one last chance to make her dreams come true. 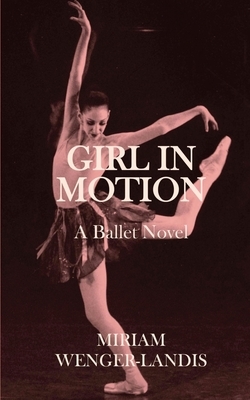 Miriam Wenger-Landis was a student at the School of American Ballet and a professional ballerina with the Miami City Ballet. She graduated from Stanford University and lives in Seattle.